Come on in! You got here just in time. We’re about to start a treasure hunt. It’s like a giant cyber word search. With one big difference. One lucky reader will win $50 in Orca books. You’re hunting for 7 words that are connected in one way or another to my Orca Sports novel Betting Game. Some of the words are about soccer. That’s the sport my main character Jack plays. Some are about teamwork. Some are about gambling and the price Jack pays for getting involved. Hey—are you sniffing around for clues already? You’re out of luck. They’re not here. What kind of treasure hunt would that be? Nope. I’ve asked some other Orca authors to hide the words in their book titles. I’ll post a new clue here every two weeks between December 1 and February 23. Collect all 7 words, and send them to me by March 14. I can see you’re eager to get started. The first clue can be found on Trudee Romanek’s website. It’s in the title of her new Orca Limelights book. Hint: this word is used in improv games as well as gambling. 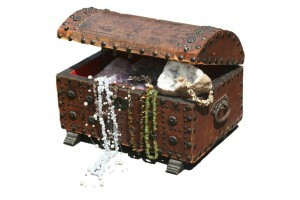 This treasure hunt is part of the online book launch party for Betting Game. The party runs from December 1-March 31. But you can’t have a party without guests. So please drop by, toss up a handful of virtual confetti and sign my guest book. A great big thank you to the good folks at Orca Book Publishers for supplying the book loot and virtual confetti. You’re the best!